Canton, Mass. (March 7, 2013) – Baskin-Robbins, the world’s largest chain of ice cream specialty shops, today announced plans to greatly expand the brand’s presence in Australia through a master franchise joint venture with Galadari Brothers (GB). 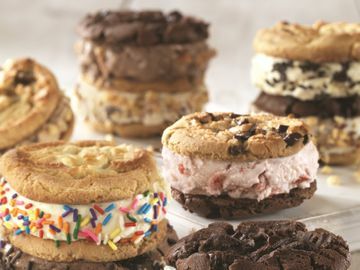 Under the agreement, GB, the parent company of Galadari Ice Cream Co. LLC (GICC), and Dunkin’ Brands Group, Inc. (DBI), the parent company of Baskin-Robbins, plan to open approximately 200 additional Baskin-Robbins shops in Australia over the next 10 years, more than tripling the brand’s presence in the country. GICC is a long time Baskin-Robbins licensee for the Middle East. Under the terms of the agreement, DBI will maintain a twenty percent stake in the new venture, with GICC being primarily responsible for day-to-day operations for the brand in Australia. 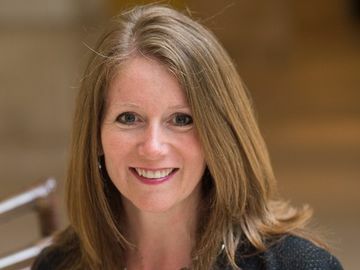 The finalization of the joint venture is subject to usual and customary closing conditions such as regulatory approvals. 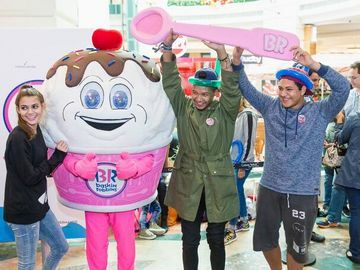 Baskin-Robbins, which has been in Australia since 1990, currently has 80 locations across the country, all serving the brand’s wide variety of ice cream flavors, frozen beverages, ice cream sundaes and custom ice cream cakes. The brand serves a number of its classic flavors, such as Pralines ‘n Cream, Mint Chocolate Chip and Jamoca® Almond Fudge, along with regional favorites, such as Hokey Pokey, Green Tea and Mango Mania. Baskin-Robbins also serves a range of other regional menu items in Australia, including its line of Yoghurt Smoothies, along with ice cream cakes in creative designs that can be customized for any holiday or occasion. Over the course of 35 years, GICC has developed the Baskin-Robbins brand into one of the preeminent ice cream brands in the Middle East. GICC is the master franchisee for the Baskin Robbins brand in the GCC and is the world’s largest franchisee for Baskin Robbins with over 500 stores spread across the UAE, Saudi Arabia, Oman, Bahrain, Qatar and Kuwait. GICC has been the first company to introduce an international brand of ice cream in the region and has the largest store network in the Quick Service Restaurants (QSR) industry in the Gulf Region. Galadari Brothers Group, founded in 1961 by Mr. Abdul Rahim E Galadari and Mr. Abdul Latif E Galadari, is one of the leading business conglomerates in the UAE. The Galadari Brothers group of companies is owned by the Investment Corporation of Dubai (a 100% Government of Dubai owned entity) and the Galadari family and operates in various sectors that include retail, automobiles, heavy equipment, industrial trading, media, engineering, hospitality, and real estate. With operations across the GCC and Asia, the Group cuts across geographical boundaries by investing in business opportunities that increase shareholder value. Some of the brands operated by the group include Baskin Robbins, Mazda, Radisson Blu Hotel Dubai Deira Creek, Khaleej Times, Komatsu, JCB, Rotair, Veedol and Ziebart. For further information, visit www.galadarigroup.com. Named the top ice cream and frozen dessert franchise in the United States by Entrepreneur magazine’s 31st annual Franchise 500® ranking, Baskin-Robbins is the world’s largest chain of ice cream specialty shops. Baskin-Robbins creates and markets innovative, premium hard scoop ice cream and soft serve, custom ice cream cakes and a full range of beverages, providing quality and value to consumers at nearly 7,000 retail shops in nearly 50 countries. Baskin-Robbins was founded in 1945 by two ice cream enthusiasts whose passion led to the creation of more than 1,000 ice cream flavors and a wide variety of delicious treats. In 2012, more than 13.3 million ice cream cakes were sold in Baskin-Robbins shops worldwide. For the full-year 2012, Baskin-Robbins' shops had global franchisee-reported sales of approximately $1.9 billion. Headquartered in Canton, Mass., Baskin-Robbins is part of the Dunkin' Brands Group, Inc. (Nasdaq: DNKN) family of companies. For further information, visit www.BaskinRobbins.com.